After Studio Octopi popped up with their proposal for the Thames Bath in London, we started hearing from a lot more people developing river swimming projects world-wide. 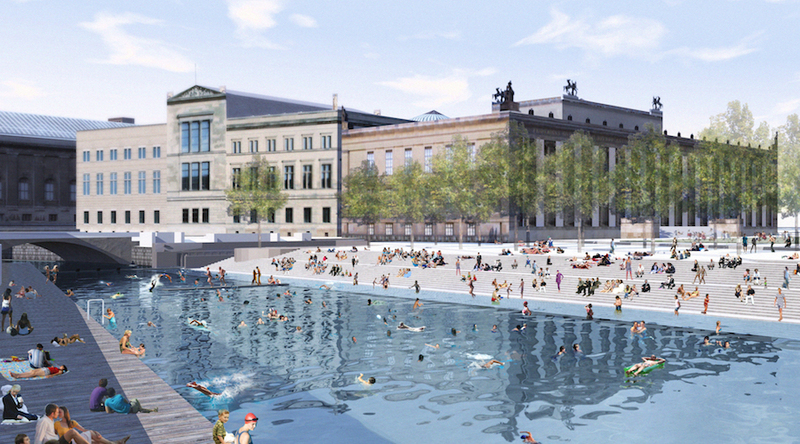 One of the most exciting was by far Flussbad—a project that aims to transform the Spree Canal in the downtown Berlin district of Mitte. The idea: to filter water entering the canal in an ecological way, in order to create a river pool further downstream. Their mission: to bring nature back into the city. 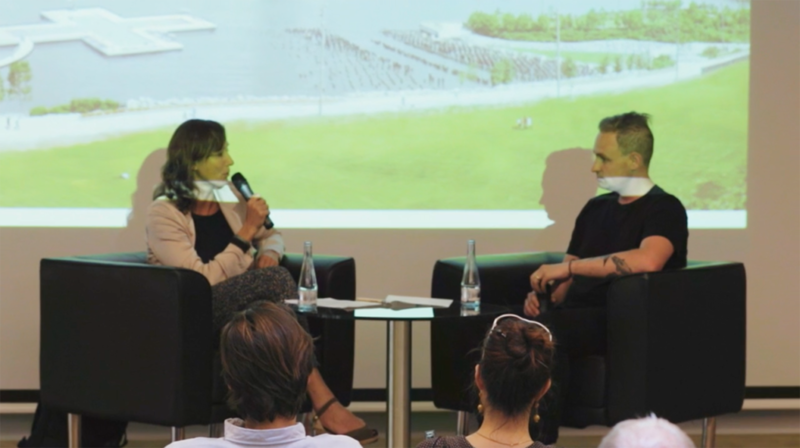 A local paper said about Flussbad, “It expresses the lifestyle of an active and environmentally conscious generation for whom a clean river is more important than owning a car.” Amazing. 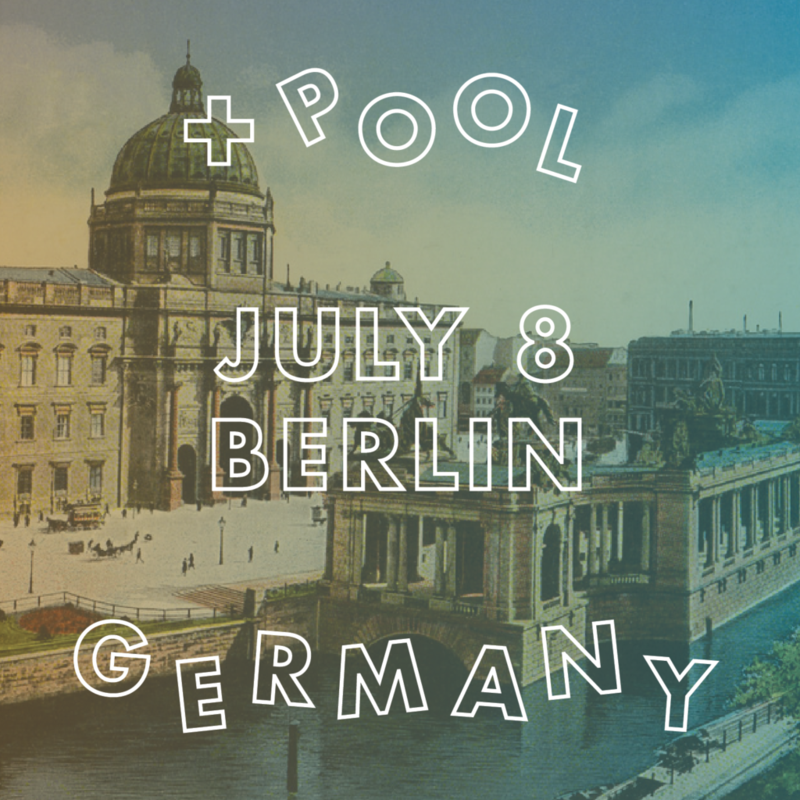 In 2015, we heard from the founders of Flussbad, Realties:United, inviting us to come to Berlin, and have a public discussion about both + POOL and Flussbad. We said yes, naturally. 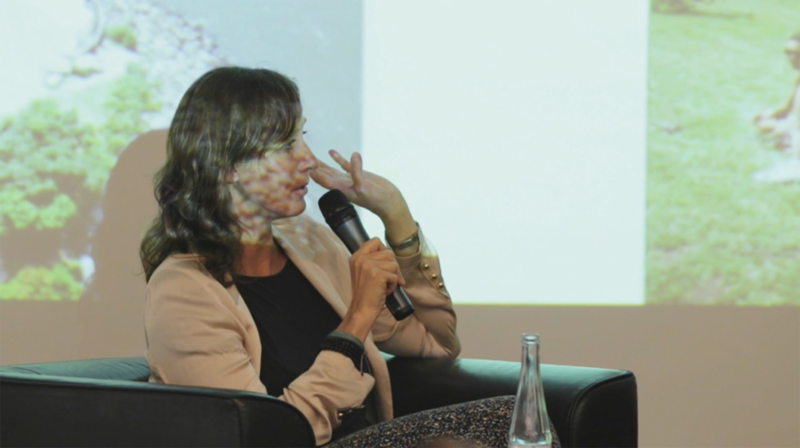 The conversation–with curator Susanne Jaschko–was critical, informative and productive. 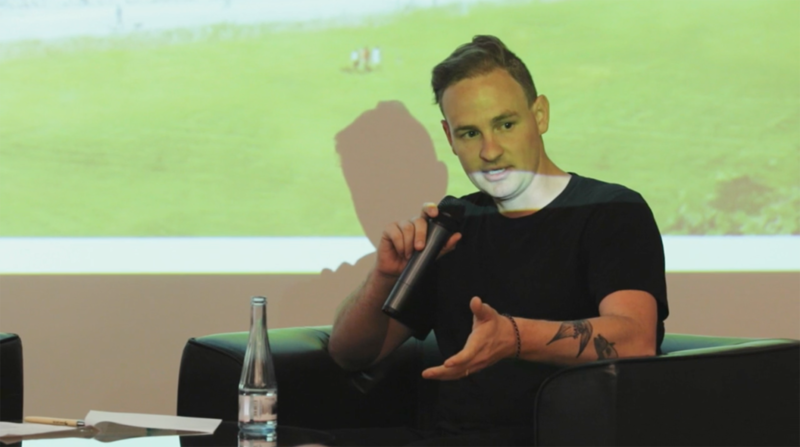 The experience in being a part of Urban Plunge in London with Thames Bath was an important first step for us understand the worldwide relevance and importance of what we were doing, but the conversation in Berlin drove it that much further. While we were there, we had the opportunity to tour the Spree, and see for ourselves how opening the canal for swimming would radically change the perspective and experience of public space in the middle of the city. 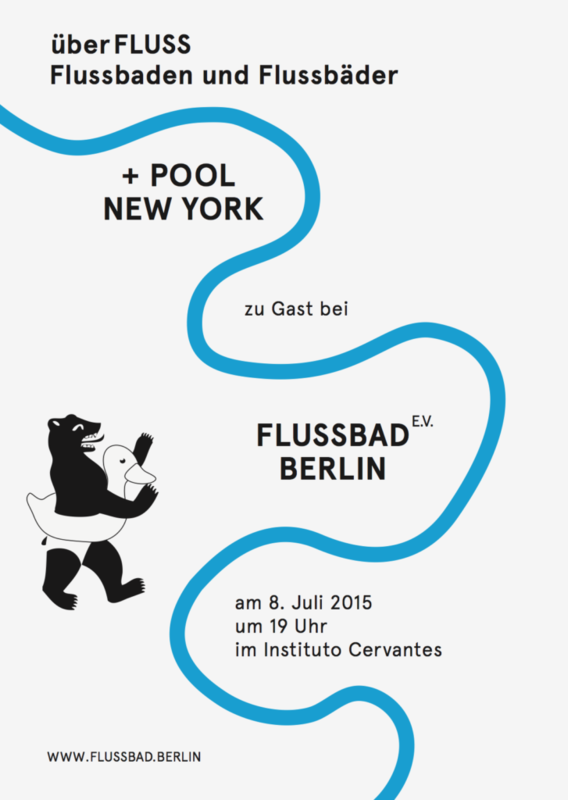 Follow Flussbad’s journey on Facebook and on Instagram.